I have been designing interiors for 15 years and most of those interiors have been coated with some shade of Sherwin Williams or Benjamin Moore. Not to hate on paint- it creates the mood for every room and is easily altered for when the mood changes. But I am so excited to see wallcovering being used more and more. It is such a great way to add bold pattern and unexpected whimsy to a room. Not feeling too brave? There are lots of ways to experiment or start small. A bed wall or focal point wall, like a foyer or the backs of built-ins, is a great way to add a pop of pattern without having to go for the gusto on the whole room (and the whole expense). Powder rooms are my favorite place to do something bold. It is a small space that doesn’t need to be made to feel large; it is only for a temporary visit after all. Can’t decide on a pattern or afraid of getting tired of something graphic? 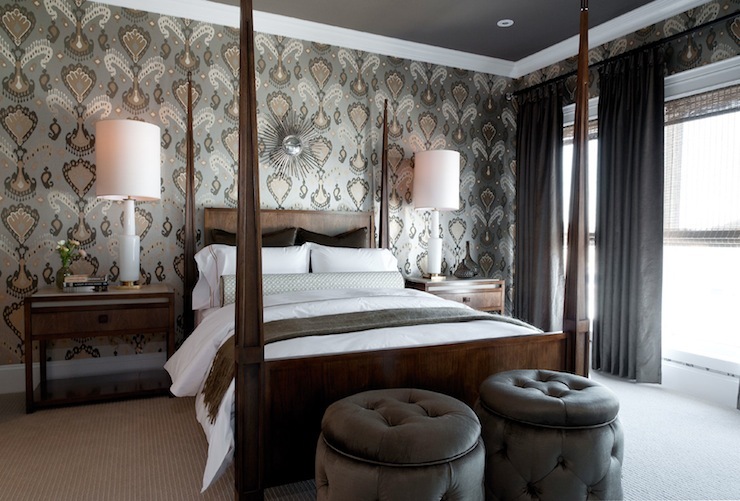 Textured wallcovering is timeless and adds subtle elegance to a space. Try some of the newer printed or embossed patterned grasscloths and linens for a little more “oomph”. A mid-century classic AKA "dream project"
I always said that I wanted a tattoo, but was never passionate about something enough display it permanently on my body. And then, I fell in love...with Mid Century Modern Design. Now I didn't run to the tattoo parlor and brand myself with an Egg Chair or Eames Lounge, but the thought has crossed my mind.